Think you’re a big fan of beer? Well, you probab​​ly can’t beat TDS‘s Alex A. By day he’s on the E-Learning team helping develop web-based training for our employees. 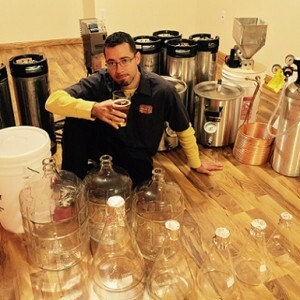 But, in his off hours, he’s a decorated home brewer and a Certified Beer Judge. Surprisingly, that’s not all that’s unique about Alex. At 8 years old, Alex moved to Madison, Wisconsin, from his native city of Moscow, after his father moved to the United States for an agricultural program. Lucky for his family, they all received Green Cards after his dad finished his PhD at the University of Wisconsin. By the way, Green Cards are actually pink, Alex said. But today, Alex and his family are all U.S. citizens, including his brother Ivan, who also works at TDS. Titles? You’d think he was previously a duke. But with a laugh, he admitted he was not. But, Alex can speak fluent Russian, although you’d never guess. He doesn’t even have a hint of an accent. Even though his family doesn’t have a title to pass down, they do have a lot of artistic ability. Alex gets to utilize that talent designing courses and helping to create training videos for TDS. 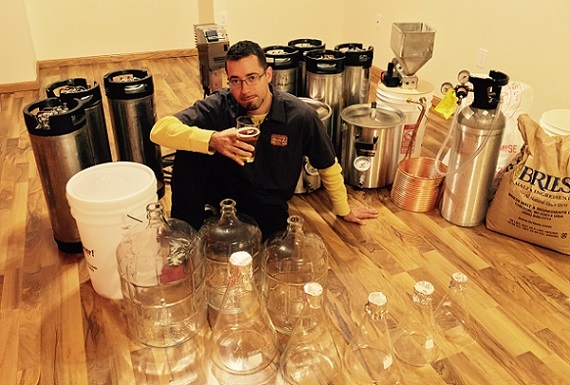 But the rest of his creative energy is channeled into beer making. Clearly, Alex is passionate about his beverage of choice. So much so, he joined the Beer Judge Certification Program. Making his own beer and entering them into competitions made him wonder what judges were looking for. In order to understand, he decided to become one himself. Alex explains that making beer can be as simple or as complex as you want it to be. At its core, it’s made from water, hops, and barley. But different beer styles use different strains of yeast and hops and varying production techniques. Mass-produced beers strive to perfect one or two styles of lighter beer. But craft brewers are trying to make a variety of flavors, exploring all different kinds of ingredients. What does he say to people who claim to not like the taste beer?